Former world middleweight champion Gennady Golovkin and long-time trainer Abel Sanchez have parted company. 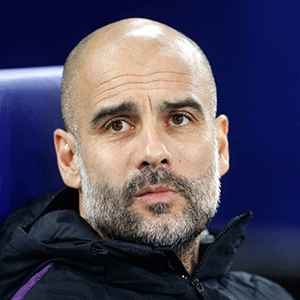 Manchester City took a huge step towards retaining the Premier League title as a win at Manchester United took them a point clear of Liverpool. Newly crowned Masters champion Tiger Woods will return to Japan for the first time in more than a decade to play in a new PGA Tour event in October. The Crusaders' rematch with a former Super Rugby finals opponent is likely to emphasise how far ahead of the field they are. "Both teams deserve the title. But it can be just one. The team that is going to lose can't have regrets because they have given everything. Normally with this kind of victory you can it enjoy it the most but we have to be calm." - Pep Guardiola. Photo - Atletico Madrid sealed all three points against a stubborn Valencia outfit in an exciting 5? Atletico Madrid sealed all three points against a stubborn Valencia outfit in an exciting 5⃣ goal thriller. A fan of Dutch team FC Twente lost a finger when he clambered over a fence to celebrate his team's promotion to the first division. The hitting prowess of AB de Villiers is nothing new, yet "Mr. 360" stunned the IPL with an incredible shot during his innings of 82 for Royal Challengers Bangalore. Pamela Anderson stormed out of a football fundraiser in Marseille after €100,000 were earmarked for fire-damaged Notre-Dame rather than for children in need. What do you make of the selector's decision to omit Reeza Hendricks from the World Cup squad? Proteas selection convenor Linda Zondi called Reeza Hendricks straight after the batsman heard news of his World Cup omission. Is the IPL an injury concern for Cricket World Cup players involved? Dale Steyn will miss Royal Challengers Bangalore crucial Indian Premier League encounter against Kings XI Punjab an injury. Trump took to Twitter to laud Els for his work. United States president Donald Trump has heaped praise on South African golfer Ernie Els for the foundational work he has done for autism. "There is no chance, 100%, if anyone dreams about having Khune at AFCON, when he is not even at training." Kaizer Chiefs coach Ernst Middendorp says there is no chance whatsoever that goalkeeper Itumeleng Khune will be fit to play at the AFCON tournament. Jerry Sexton will join the Southern Kings on July 1 on a three-year deal. 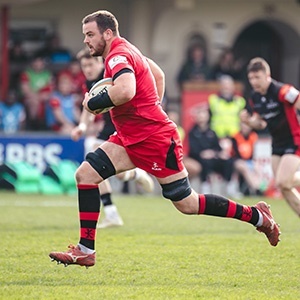 The Southern Kings have made a giant leap in their efforts of building a competitive team with the signing of Irish lock, Jerry Sexton. Pan held steady when it counted and won his first PGA Tour tournament with a one-stroke victory over Matt Kuchar as world No 1 Dustin Johnson stumbled badly on the back nine at the RBC Heritage..
Kenya's former Olympic 1500 metres champion Asbel Kiprop has been handed a four-year ban for doping, the Athletics Integrity Unit (AIU) said on Saturday, after he tested positive for the banned blood booster erythropoietin (EPO) in November 2017. Kenya's former Olympic 1 500 metres champion Asbel Kiprop has been handed a four-year ban for doping, the Athletics Integrity Unit said on Saturday. Novak Djokovic was dumped out by Daniil Medvedev while Rafael Nadal survived a struggle to reach the semifinals of the Monte Carlo Masters for the 14th time. 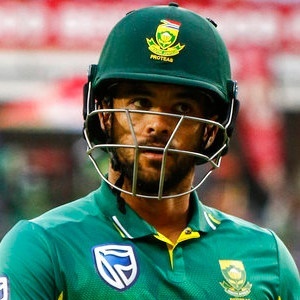 Should JP Duminy be recalled by the Proteas? A recall to the SA ODI squad for the first time in several months seems imminent for a firing-again JP Duminy, writes Rob Houwing. A Beauden Barrett penalty after the hooter saw the Hurricanes beat the Highlanders in an intense Super Rugby clash in Wellington on Friday. With Sunday's M-Net Movies Game On (Channel 109) all about athletics and rugby, which of these two is your favourite? Kaizer Chiefs striker Bernard Parker definitely doesn't agree with team-mate Ramahlwe Mphahlele that Kaizer Chiefs are already out of the Absa Premiership title race. Chelsea cruised past Dynamo Kiev with a comfortable win while things didn't go to plan for Arsenal. Chelsea dominated Dynamo Kiev to take control of their Europa League last-16 tie as goals from Pedro Rodriguez, Willian and Callum Hudson-Odoi earned a win. "They deserve respect for fighting and believing until the end." Cesc Fabregas has defended Manchester United’s tactics after former Arsenal team-mate Julio Baptista criticised their style of play. In an exclusive interview, rugby pundit Ethienne Reynecke talks about his road to recovery following a stroke. Who's your money on: Lions or Jaguares? 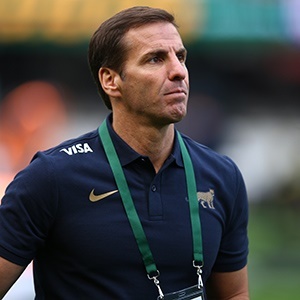 Jaguares coach Gonzalo Quesada has made 11 changes to his starting XV for their Super Rugby clash against the Lions. The Sydney Morning Herald reported on Friday that high-ranking sports officials had "serious doubts"
The Sydney Morning Herald reported on Friday that high-ranking sports officials had "serious doubts" about the behaviour of at least three unnamed Australian players in the game. Rugby Australia insists it has seen no evidence of match-fixing and refuted claims that it launched a "top secret" probe into a suspect Wallabies Test several years ago. 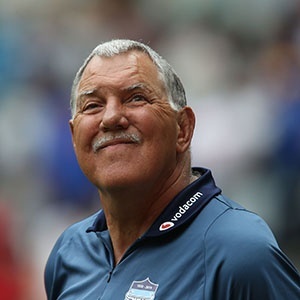 Sharks coach Robert du Preez has come up with what can be described as a surprise selection for Saturday’s crucial clash with the Bulls at Loftus. Victory over the Sharks might start to confirm what many must now surely be suspecting - this could be the year that the Bulls rise from the ashes. Kevin Owens takes aim at Daniel Bryan for the WWE Championship at WWE Fastlane Will a new champion be crowned? With Saturday's M-Net Movies Game On (Channel 109) all about the ice, which of these two is your favourite? Photo - A win that will go down in the Manchester United history books..
A win that will go down in the Manchester United history books.. The Proteas put in a fantastic bowling effort to win the 2nd ODI against Sri Lanka. What did you make of the performance? With Friday's M-Net Movies Game On (Channel 109) all about Golf, which of these two is your favourite? Bafana Bafana will play Libya in Tunisia’s Stade Taieb Mhiri Sfax in the city of Sfax on Sunday, 24 March, according to CAF correspondence sent to the SA Football Association (Safa) on Wednesday. Photo - Tonight could be a pivotal evening in the Premier League title race. Tonight could be a pivotal evening in the Premier League title race. Who should start in goal for Kaizer Chiefs? Kaizer Chiefs coach Ernst Middendorp has insisted that Daniel Akpeyi remains the club's first-choice goalkeeper in the Absa Premiership. Football fans are in for a treat tonight when the top six in the Premier League will all be in action. Make sure you tune into SS3 for a SPECIAL TITLE RACE GOAL RUSH which will feature the Liverpool, Man City and Spurs matches. KOLPAK XI V PROTEAS - WHO WOULD WIN? SA's Kolpak XI: Would they beat Proteas? With another promising talent moving up north, Lloyd Burnard selects a South African Test side made up entirely of Kolpak players. Can Palace do a job on United? Crystal Palace will look to claim a first-ever win over Manchester United when they clash at Selhurst Park on Wednesday. "That business of kissing badges is a lot of nonsense. Not celebrating goals... who pays your wages? "That business of kissing badges is a lot of nonsense. Not celebrating goals... who pays your wages? ..."
Gavin Hunt insists he has no problem with former Clever Boy Phakamani Mahlambi's exuberant celebrations during in their draw against Mamelodi Sundowns. Just two weeks into Super Rugby 2019, South Africa's Marvel Superhero kits have made headlines for the wrong reasons. What are your predictions for tonight's Absa Prem encounter? Cape Town City coach Benni McCarthy believes his team has every chance of walking away with maximum in their crucial fixture against Mamelodi Sundowns. Duanne Olivier is set to earn considerably more at English county Yorkshire.